Toronto will ask Ottawa to ban the sale of handguns within city limits, days after a teen and a young girl were killed in a mass shooting on a bustling Greektown street. Toronto will ask Ottawa to ban the sale of handguns within city limits, days after a teen and a young girl were killed in a mass shooting on a bustling street in Greektown. City council was already scheduled to vote on a series of gun-related initiatives Tuesday night, but the issue took on a new urgency after the shooting on Danforth Avenue claimed the lives of 10-year-old Julianna Kozis of Markham, Ont., and 18-year-old Reese Fallon of Toronto. Thirteen others were injured. In a vote of 41-4 on Tuesday evening, council approved a motion to urge the federal government to forbid the sale of handguns in the city and for the province to outlaw the sale of handgun ammunition in Toronto. The motion was put forward by Coun. Joe Cressy, who represents Ward 20, Trinity-Spadina. 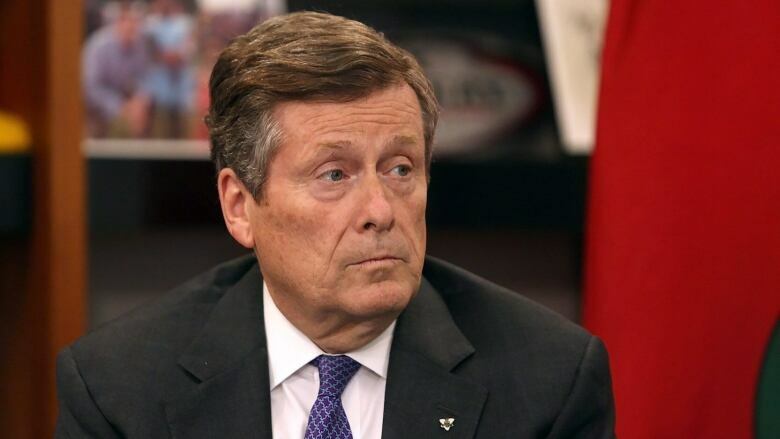 Mayor John Tory said in a speech to council hours after the shooting that there is a growing problem of people improperly acquiring guns that were originally purchased legally. Gun deaths have accounted for 29 of Toronto's 58 homicides this year — compared to 17 fatal shootings at this time last year. "Why does anyone in this city need to have a gun at all?" the mayor asked. Council also approved several other proposals for enhanced surveillance measures and more robust youth programming, as well as community violence prevention strategies. Approve funding for ShotSpotter technology, which uses microphones to detect gunfire and automatically informs police. Ask the province to fulfil its promise to provide $1.9 billion in funding for mental health supports and programs. Increase funding for the Youth Equity Strategy by $2.6 million. Ask the chief coroner of Ontario to conduct inquests into all gun-related deaths. Implementing a gun amnesty buyback program. Use funding from the city's reserve fund to immediately hire 100 new police officers. Investigate gun clubs and shooting ranges in the city to see if they are operating legally. Look into the city acquiring and repurposing gun clubs for civic purposes. Tory also put forward a motion calling on the federal government to strengthen existing laws against gun trafficking and said he supported stiffer sentences for firearms traffickers. That motion also passed.